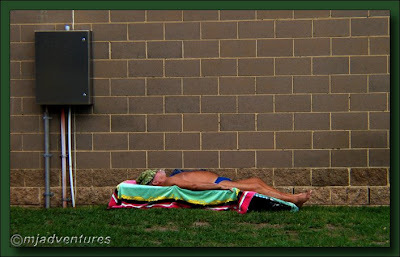 Some people pick curious places to sunbathe. Behind this wall was the most glorious sandy Australian beach. Then again, he was sheltered from the cool wind that was blowing off the water.